Google Glass has already been unveiled and known to public way before the 2014 International Consumer Electronics Show instigates. This is probably making it the better known face of wearable augmented reality devices, thus far. But the high price point as well as slow roll-out is giving rivals a chance to create and introduce their own smart eye-wears to keep up with the wearable technology trend. In this year's CES event, other companies also make their moves to unveil their very own smart glass entrants to challenge the search engine giant's Google Glass, in the aspects of design, functionality, market segment and price. 1. Vuzix M100 - It is an Android-based wearable computer first created with appearance as a product demo at the International CES 2013. Similar to the Google Glass, the Vuzix M100 offers users with a heads up display just a few inches far from the eyeball. The main distinction here is that Vuzix utilizes a miniature 428 x 240 color-LCD, instead of projecting information onto a clear eyepiece. With the display that sits directly in front of the eye, it would be easier for its users to check email, scan barcodes or translate languages from a book or sign. 2. OrCam Smart Glasses - Or Cam is a new Israeli start-up firm that has recently created a buzz in the optical market for introducing a unique and amazing glass technology for visually impaired people to "read" the world around them. Orcam smart glasses have camera-based system with a sensor that is designed to help serve as eyesight replacement, allowing the wearer to move freely and read easily. Its sensor is clipped to the frames of the glasses and it has a small speaker presses against the temple to transmit sound. Aside from reading, the OrCam glasses are also used for recognizing people, memorizing places and giving directions. 3. GlassUp - It's a crowd-funded project that was first developed two years before Google Glass was unveiled. A much more sporty style model was demoed at this year's CES event, notably featuring larger lenses and a more symmetrical design with a head-up display and camera lens incorporated into the glasses. GlassUp's augmented reality glasses work mainly by displaying directions, text messages, translations, heartbeats, emails or any other information chosen by the pertinent applications on a smartphone. 4. iOptik - The company has presented what is deemed likely the most innovative new product introduced during the recently concluded 2014 International CES event in Las Vegas. 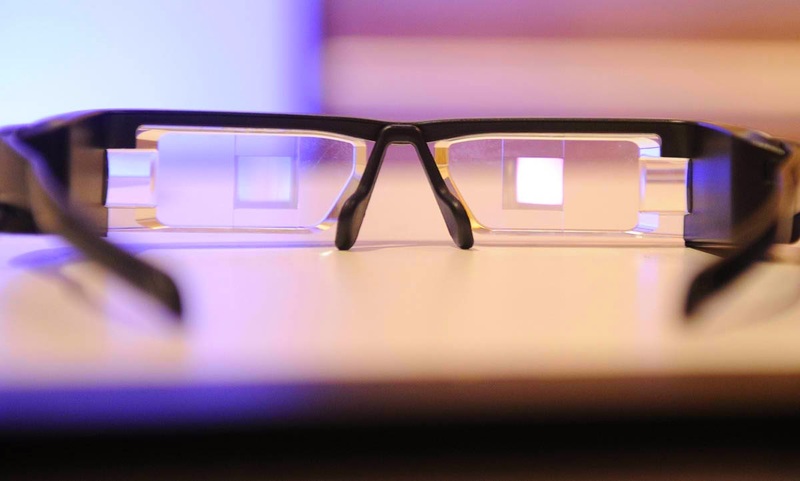 Its smart eyewear entrant came as a pair of augmented reality contact lenses that activate when worn with iOptik eyeglasses using a system that is conceptualized and developed by Innovega. The glasses are primarily designed to project images onto the lenses in the eye and merge both the real and digital worlds into a single field of view. 5. Recon Jet - It is yet another smart eyewear that will ship soon. Introduced by Recon Instruments, the Recon Jet is specifically designed for athletes, utilizing Bluetooth to connect to heart rate monitors and smartphones with altimeter, thermometer, gyroscope, accelerometer, and magnetometer. Its camera however, is not really as powerful compared to Google Glass. 6. LAFORGE Optical Icis - The company has three sets of glasses under development and labeled Icis. These glasses have prescription lens using Bluetooth technology to display notifications from a smartphone. Its functions comprise of giving directions, taking pictures and recording videos. 7. Lumus DK40 - Lumus aims at taking vision to the ultimate level and provide a new dimension for the human visual experience, with its new smart eyewear based on the latest LOE technology. The new set of DK40 glasses is designed with a screen located in the right lens. Compared to Google Glass, Lumus DK40 offers a larger field of view for the users, with an Android app that serves as a remote control.